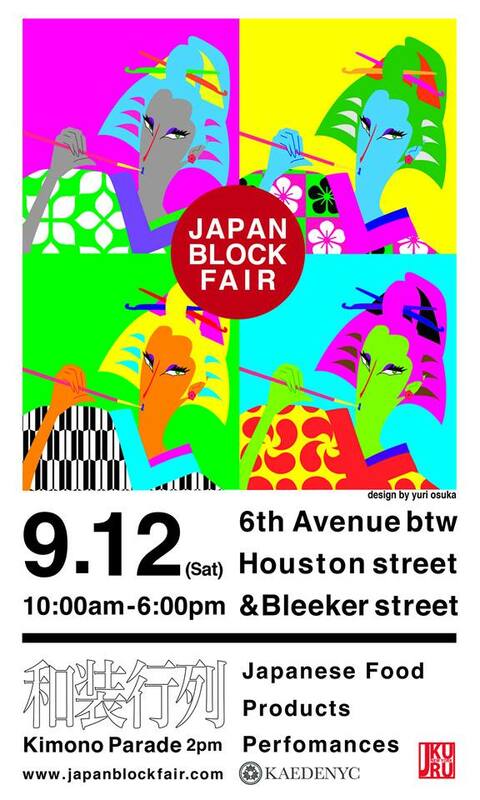 Japanese Concerts-Tours-Tickets North America: KIMONO PARADE at JAPAN BLOCK FAIR N.Y.C. KIMONO PARADE at JAPAN BLOCK FAIR N.Y.C. 6th Avenue btw Houston & Bleeker Street N.Y.C. on September 12th at 2:00 pm. If you want to join the Kimono Parade, ask Draggon, Yumi, Chizu. or Email (jblockfair@gmail.com) Also there will be Japanese food, entertainment and products from 10:00 a.m. till 6:00 p.m.